There's a London-themed quiz book in the shops. It's an idea that's been tried before but not, to our knowledge, by a Blue Badge Guide. Author Mark King draws deep from the well of London history and his vast guiding experience to present 22 fact-filled 'journeys' through the capital. Each journey includes 10 fiendish questions, taking the reader to all corners of the capital. It's like having a Blue Badge tour guide in your pocket, in a nice way. To give us a taster, Mark has prepared a short quiz for Londonist readers. See how many you can get from the list below, then scroll down for the answers and further trivia. 1. Who is the only king or queen to have been born and to die at Buckingham Palace? 2. True or false: the London Eye viewing platform is the world’s tallest Ferris wheel? 3. What did John Harrison invent in the 18th century that stopped travellers getting lost? 4. Which rowing race has the longest course: Oxford-Cambridge Boat Race or Doggett’s Coat & Badge Race? 5. Which of these animals is not part of the natural history of the Tower of London? (a) Ravens, (b) Polar bear, (c) Elephant, (d) Lions, (e) Monkeys, (f) Black adder. 6. How did the entertainment district known as Soho get its name? (a) It is located south of Houston Street, (b) As a market garden, it was frequently sown and hoed, (c) It was the second-hand garment district where tailors sewed up holes in clothing, (d) Land once owned by Sir Hugh d’Eaulx, (e) A shout made by hunters. 7. After what or whom is Cannon Street named? (a) Gun-makers, (b) Priests or canons, (c) Candy-makers, (d) Candle-makers, (e) Sir Septimus Carr-Nunn. 8. In which century were the most people executed inside that notorious prison, the Tower of London? 9. Which large London prison has a public restaurant run by prisoners? 10. 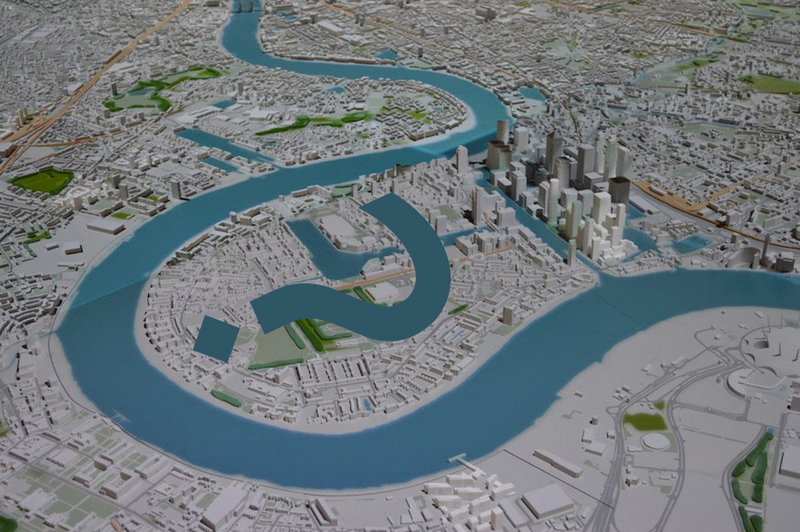 Which is the only London borough to straddle the Thames? 1. King Edward VII (born 1841, reigned 1901-10). There have been many royal palaces in London through our city’s history — Whitehall, St James’s, Westminster, Pleasaunce, Sheen, Eltham, Kew, Hampton Court and Kensington, to name a few. Eldest child of Queen Victoria and Prince Albert, Edward was born soon after his parents had moved in to Buckingham Palace, establishing this as the principal royal residence in town – a position it maintains to this day. In 1902, the elderly new king bravely underwent emergency surgery for peritonitis in the palace but eventually died there in 1910. In fact, false on two counts. Erected to celebrate the Millennium in 2000, the revolving platform was designed by husband and wife architectural team Julia Marks and David Barfield. Ferris wheels typically are supported on both sides, but this riverside wheel is suspended from a single, V-shaped shoreside support. And at 135m (443ft) it is not the tallest either, that honour currently goes to ‘High Roller’ in Las Vegas, USA (168m or 550ft). 3. The marine chronometer, a portable sea clock and first effective means of measuring longitude. John Harrison (1693-1776) solved the problem of measuring exactly where you are in the world. Latitude (north-south) could be fixed but no reliable means existed to determine longitude (east-west) until the accuracy of Harrison’s chronometer was proven in various weather conditions, at sea and on land. Find the story of his chronometers and GMT in displays at Greenwich’s Royal Observatory and the Science Museum in South Kensington. He has a memorial — with an intriguing component, a bi-metallic strip — in the nave of Westminster Abbey and is buried in Hampstead in north London, so you’ll be travelling from central London to all four prime compass points to find Harrison. 4. Doggett’s Coat & Badge Race. The world’s oldest continuously raced sporting event is also London’s longest rowing competition. 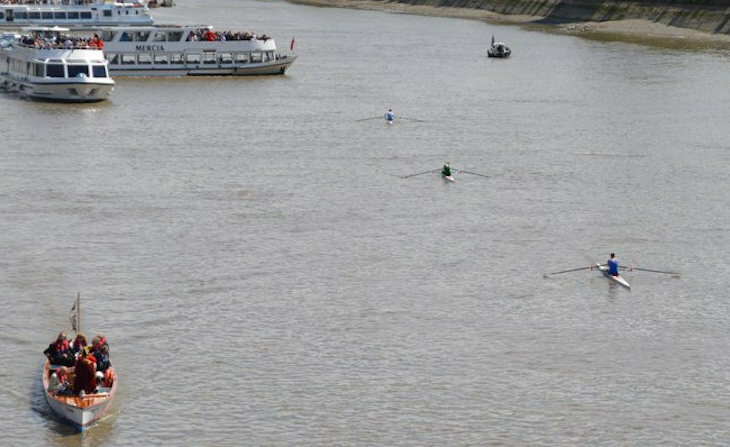 Solo oarsmen beginning careers as river watermen first raced in 1715 over a 7.25 km (4.5 mile) course from London Bridge-Cadogan Pier. The winner was awarded a scarlet jacket and silver badge by theatre manager Thomas Doggett. Its 301st race in July 2016 was keenly contested, although watermen are not as numerous these days. The first, second and third-place competitors in the 300th Doggett's Coat and Badge race in 2015. Photo by M@. One of the world’s most famous sporting contests is, simply, ‘The Boat Race’. Students at the universities of Oxford and Cambridge race in eights along a 6.78 km (4 mile 374 yard) course from Putney to Mortlake. Look for concrete posts on the south bank inscribed ‘UBR’. This great race has been keenly contested since 1829, moving later to this section of the lower Thames where it draws large crowds each spring and millions of TV viewers worldwide. The adder or viper is Britain’s only venomous native snake but don’t worry, you are much more likely to find Blackadder on TV or DVD as the central character in a popular BBC comedy series. All the other creatures lived at the Tower during its history as a palace and fortress, and ravens still live there. A guided tour explains the fascinating — and sometimes sad — stories of the creatures kept in London’s royal keep. 6. (e) A shout made by hunters. The word appears in early 17th century as a hunting cry and probably was used by sportsmen chasing rabbits and wildfowl that abounded in the local fields. Today, Soho teems with an altogether different kind of life, both day and night, with cafés, bars, restaurants, clubs and many other attractions. Located in the EC4 district of the City, Cannon Street was originally named ‘Candlewick Street’. The meeting hall of The Tallow (animal fat) Chandlers Company has been in the area for centuries and they were makers of cheap candles. Fancy bees-wax candles for religious, royal or aristocratic use were the work of the Wax Chandlers, whose hall is now on Gresham Street. Ancient trade organisations known as livery companies or guilds — such as these candle-makers — have left their mark all over the city. They still play an active part in London’s commercial and charitable life, as well as its local government and pageantry. In spite of its gruesome reputation as a place of imprisonment, punishment and execution, relatively few people are believed to have been put to death within the Tower’s precincts. This ‘privilege’ appears to have been restricted to high-profile or sensitive cases involving members of the royal family or nobility, until during the first and second world wars, when 11 prisoners found guilty of espionage were executed by firing squad. Run by the Clink charity as a rehabilitation scheme for offenders serving a prison sentence and aimed at preventing reoffending by equipping them with useful skills, HMP Brixton’s Clink restaurant is open to the public for bookings by prior arrangement. This successful initiative is modelled on a number of prison restaurants set up around the country and Brixton is the first one in London. The clue is in the full name of this administrative district formed in 1965 from parts of Surrey and Middlesex. With 34 km (21 miles) of river frontage, Richmond boasts several great royal or stately homes near London’s watery highway, including Hampton Court Palace, Strawberry Hill, Marble Hill House and Kew Palace. Royal Botanical Gardens at Kew and the London Wetlands Centre in Barnes are two natural treasures. 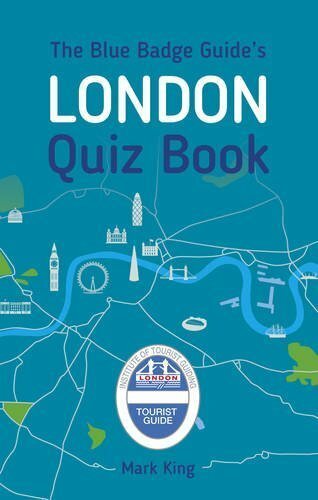 The Blue Badge Guide's London Quiz Book is out now in paperback and Kindle version.